This is my first book with Storey Publishing, and they have been tremendous partners on this journey. For years I have been making wonderful pickles and preserved foods, but I wanted to compile my favorite recipes for preserved protein foods, such as beef jerky, smoked fish, pastrami and corned beef, alongside non-animal protein sources, such as yogurt, pickled beans, cured tofu and nuts, and so much more. Preserving techniques include all of the favorites that have fed and nourished us for millennia: fermentation, vinegar pickling, drying, curing, oil and fat confit, and so much more. 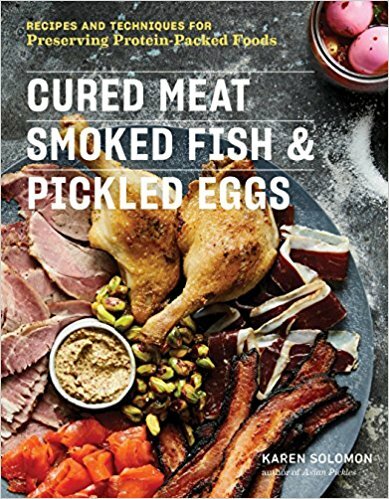 Cured Meat, Smoked Fish, Pickled Eggs will be available both print and as an ebook. I hope to tour the book next summer at a city near you.